Where an entity, directly or indirectly, participates in the management, control or the capital, of another entity and conditions are made or imposed between the two enterprises (transfer prices) which differ from conditions which would be made by independent parties, the profit of these entities will be determined as if those conditions applied. The first paragraph applies similarly if the same person, directly or indirectly, participates in the management, control or capital, of one and another entity. The entities referred to in the first and second paragraph must include information in their records which shows in which manner the transfer prices that are referred to in the relevant paragraph have been established and from which it can be derived whether the transfer prices established would have been agreed upon between independent entities dealing at arm's length. Article 8b CIT only applies to corporate taxpayers. However, the taxable income of individuals dealing with foreign or domestic related entities can also be adjusted based on the arm's-length principle. Article 8b CIT includes both vertical relationships (parent–subsidiary) and horizontal relationships (sister companies with a joint parent) between entities; both direct and indirect relationships are taken into account. Relationship thresholds have intentionally been omitted from the statute, and instead, an approach that looks at the substance of the relationship has been adopted. This is to avoid taxpayers having the ability to influence their tax position by planning around clearly defined statutory thresholds, and also ensures that entities that do not have a capital divided into shares, such as foreign trusts or Dutch foundations, are covered by the arm's-length principle. Taxpayers may apply for an advance determination of whether they are related for the purposes of Article 8b CIT. The application of Article 8b CIT is not limited to cross-border transactions. Article 8b CIT also applies to transactions between related entities in the Netherlands, and contains the requirement for taxpayers to document the arm's-length nature of the transfer prices used. The Dutch government has on multiple occasions stated that, in its view, the OECD Transfer Pricing Guidelines (the OECD Guidelines) contain principles of Dutch law and are as such part of the Dutch legal framework. This view is not undisputed. The Dutch Ministry of Finance has issued Decree 22 April 2018, No. 2018-6865 (the Dutch Transfer Pricing Decree). The Dutch Transfer Pricing Decree contains explanatory guidance in areas where the OECD Guidelines leave room for interpretation by individual countries or where the OECD Guidelines are unclear. The Dutch Transfer Pricing Decree has been amended to bring it in line with the revisions that the OECD Transfer Pricing Guidelines have undergone in connection with the outcome of the BEPS project. Another decree issued by the Dutch Ministry of Finance, Decree IFZ2010/457M, contains guidance on the allocation of profits to permanent establishments. Next to these generic decrees, specific guidance has been issued in the area of group finance entities. The Netherlands has a long tradition of cooperation between taxpayers and tax authorities to prevent conflicts in the tax area. There is a well-developed system for tax rulings, advance pricing agreements (APAs) and cooperative compliance agreements. The rulings and APA practices have come under scrutiny of the European Commission, who claim that some of the agreements the Dutch tax authorities have entered into constitute state aid that is prohibited under EU law. In Starbucks, the Commission rendered a final decision that an APA entered into between the Dutch tax authorities and Starbucks represented state aid. Its decision has been appealed by the Dutch government and Starbucks before the European Court of Justice. In another case, IKEA, the Commission has rendered an opening decision concerning alleged state aid granted by the Netherlands. Cooperative compliance agreements between the Dutch tax authorities and taxpayers are very common for large and medium-sized corporate taxpayers. Under the agreement taxpayers commit to notify tax authorities of issues that could give rise to disagreement on a current basis. The tax authorities commit to timely state their position with respect to these issues. The purpose of the agreement is to have fewer disputes in the assessment phase, thus assuring that the taxpayer's tax position is more certain on a current basis. One of the effects of these agreements is that taxpayers are less likely to take aggressive tax positions, or play the audit lottery. 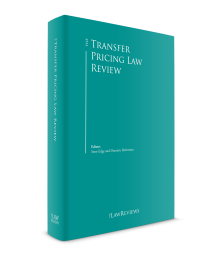 Another effect is that conflicts, including conflicts in the transfer pricing area, less frequently reach the stage where they are brought to court. There are three levels of statutory documentation and filing requirements in the transfer pricing area. Every taxpayer is required pursuant to Article 8b CIT to maintain transfer pricing documentation in its administration from which it can be derived whether transactions with related entities have been conducted under arm's-length conditions. In the context of an M&A transaction, the Dutch Transfer Pricing Decree states that the acquisition file of the buyer is part of the transfer pricing documentation. There is no requirement to prepare a transfer pricing report. Taxpayers are free to substantiate their transfer pricing. The information should be available at the time of filing of the tax return and must be provided to the Dutch tax authorities upon request. If the transfer pricing relates to transactions between a Dutch taxpayer and an associated enterprise outside the Netherlands, the documentation may be retained outside the Netherlands. Notwithstanding this, the Dutch taxpayer must provide the requested information to the Dutch tax authorities upon request. Entities that are part of a multinational group with a consolidated turnover in excess of €50 million are required to maintain in their administration a group file and a local file. The group file should contain a description of the nature of the activities of the group, the general transfer pricing policy of the group and a worldwide allocation of income and economic activities. The group file should enable the tax authorities to make a transfer pricing risk assessment. The local file should contain all information to assess whether the company has fulfilled its documentation requirements under Article 8b CIT. The local file and the group file should be available in either Dutch or English. The tax authorities may give additional guidance on the contents and format of the files. The files should be available at the latest at the time of filing of the tax return. In addition, the CbCR should contain for each company in a jurisdiction an indication of the nature of the activities of that company; and needs to be filed with the Dutch tax authorities within 12 months of the balance sheet date. Decree DB/2015/462M contains detailed regulations on the required content of the documentation and filing requirements for large and medium-sized multinational groups referred to above. In addition to the above statutory requirements, a taxpayer and the tax authorities may agree as part of an APA that the taxpayer files a report annually that enables the tax authorities to review the taxpayer's compliance with the APA. In 2017, legislation became effective to enable the Dutch tax authorities to automatically exchange CbCRs received from multinational groups with other countries. The Dutch tax authorities apply the guidance of the OECD Guidelines on comparability factors. These factors include the characteristics of the property or services transferred; the functions performed by the parties (taking into account assets used and risks assumed); the contractual terms; the economic circumstances of the parties; and the business strategies pursued by the parties. The Dutch tax authorities allow the use of both internal and external comparables. There is no specific guidance with respect to comparables. Due to the relatively small size of the Dutch economy, benchmarking analyses on the basis of international data are acceptable. Data from commercial databases made available by parties such as Bureau van Dijk, Bloomberg, Moody's and Thomson Reuters are generally accepted. The OECD Guidelines, in principle, look at transactions individually. 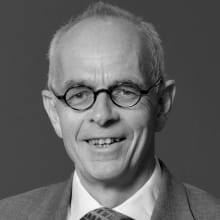 Where there is a large number of comparable transactions, the Dutch tax authorities will apply aggregation of transactions and will expect that the taxpayer will demonstrate that its dealings are at arm's length on an aggregate basis. In cases where the arm's-length transfer price is within a range, the Dutch tax authorities will take the position that the median should be taken as the basis for adjustment. Taxpayers are, in principle, free to choose a transfer pricing method, provided that the method adopted leads to an arm's-length outcome for the transaction in question. In certain situations, however, some methods will generate better results than others. Although taxpayers may be expected to base their choice of a transfer pricing method on the reliability of the method for the particular situation, they are definitely not expected to weigh up the advantages and disadvantages of all of the various methods and then explain why the method that was ultimately adopted generates the best results in the prevailing conditions (i.e., the best method rule). Certain situations are also suited for a combination of methods. At the same time, taxpayers are not obliged to use more than one method. The only obligation resting on the taxpayer is to explain the decision to adopt the particular method that was adopted. The Netherlands has implemented CbCRs and will actively exchange information with other countries. CbCR data is not public; however, certain members of the Dutch parliament have suggested that the government pursue changes in legislation that would include public disclosure of CbCRs. The Dutch tax authorities have specialised regional teams and an expert national team for transfer pricing. These teams communicate with each other and (informally) ensure that there is consistency in the application of transfer pricing rules across the Dutch tax administration. The Dutch tax authorities typically want to have a clear understanding of the business model of a multinational group and of the value drivers within the group. For this purpose, they may sometimes want to talk to in-house business people. There is debate as to whether and to what extent a taxpayer is required to facilitate this. Only in exceptional circumstances, for instance when there is a suspicion of fraud, will they resort to fact finding through third parties. The Dutch tax authorities do not use secret comparables. Dutch tax law does not provide for a definition of intangibles. The Dutch tax authorities will ordinarily take the legal arrangements on intangibles as the starting point for determining a company's taxable profit from intangibles. In the Dutch Transfer Pricing Decree, it is stated that the transfer of an intangible asset to a related enterprise that is not expected to add value because it lacks the required functionality (skills) is not at arm's length. In this regard, the Dutch Transfer Pricing Decree takes into account the DEMPE principles introduced in the OECD BEPS project. If the transaction as such is at arm's length because the buyer also adds functionality, the terms and conditions of the transaction will be tested. In the Dutch Transfer Pricing Decree the Ministry of Finance commented on the transfer of intangibles. Sometimes intangible assets such as patents are transferred, and it is difficult to establish the value at the time of the transfer because insufficient information is available about the future benefits and risks associated with the intangible. The Dutch tax authorities then will apply the principles laid down in Paragraph 6.185 of the OECD Guidelines. If independent enterprises under similar conditions would have demanded a price adjustment clause, the Ministry of Finance takes the position that the Dutch tax authorities must be permitted to calculate the price using this type of clause as well (i.e., an arrangement whereby the consideration for the transfer is commensurate with the benefits that the intangible asset will generate in the future). An example would be a situation in which a new intangible asset has been developed that is sold to an associated enterprise at a time when there are very few guarantees as to its future success, for instance, because it has yet to generate any revenue and any estimates of future revenue are surrounded by major uncertainties. With respect to hard-to-value intangibles, it is stated in the Dutch Transfer Pricing Decree that deviations of 20 per cent or more of the projections used to determine the value at the time of the transfer will be a reason for the tax authorities to use ex post data to test the reliability of the ex ante projections, in line with Paragraphs 6.186 to 6.195 of the OECD Guidelines. However, as a safe harbour, if such deviation does not occur until five years after the transfer, the intangible will not be treated as a hard-to-value intangible. Further, in the Dutch Transfer Pricing Decree it is confirmed that, under certain conditions, the TNMM is an appropriate method to determine the residual profit attributable to the owner of an intangible, provided that all other functions have been properly rewarded. Guidance in these areas follows the principles of the OECD Guidelines and the BEPS reports, but may have a higher level of detail. The Dutch tax authorities may agree to a settlement in transfer pricing disputes. A settlement is formalised in an agreement between the tax authorities and the taxpayer on the legal qualification of facts and circumstances of a case. Within certain limitations, the settlement may also cover penalties. Settlements may be in the form of an APA. The tax authorities and a taxpayer then settle on the transfer pricing method to be used going forward. As part of the APA they can agree that the APA may have retroactive effect for all years that are still open for final assessment. In order to apply retroactively obviously facts and circumstances need to be comparable. Alternatively, the Dutch tax authorities may settle tax disputes in audit without entering into an APA. A tax inspector would in such instance probably also discuss the proposed settlement with the specialists of the transfer pricing team that also is responsible for the APAs. Settlements and APAs are not made public. The Dutch tax authorities are not obliged to enter into a settlement agreement or an APA. They will not enter into an agreement or APA as a matter of principle if the agreement or APA is not in line with the good faith to be observed between treaty partners. A corporate tax return must be filed within five months of the close of the taxable year. Upon request of the taxpayer, the statute of limitations for filing a return may be extended. Once the tax return has been filed, the audit process may start. Transfer pricing is part of the normal audit process. The inspector can raise a final assessment within three years following the close of the year, and the date is extended with extensions of the filing date that were granted to the taxpayer. A regular transfer pricing audit will normally have to take place within this three-year period. During the audit process, the tax authorities have broad authority to ask the taxpayer for information. In essence, everything that could be of relevance to determine the tax liability is subject to discovery. The tax authorities are not, however, allowed to embark on a 'fishing expedition'. If a taxpayer does not cooperate with information requests, an 'information decision' can be issued. An information decision essentially puts the burden of proof that an assessment issued by the tax authorities is incorrect entirely on the taxpayer. If the transfer pricing audit involves a complex case, the tax authorities may ask the taxpayer to agree to an extension of the statute of limitations for issuing the final assessment. There is no obligation for the taxpayer to grant this request. If the taxpayer is not willing to grant this extension, the tax authorities can issue an assessment including the adjustments that are in discussion. The discussion between the tax authorities and the taxpayer may then continue during the administrative appeals phase, although time limitations also exist during that phase. After a final assessment has been issued, the tax inspector may issue a deficiency assessment. A deficiency assessment can be issued within five years following the close of the year plus the period for which extension for filing the return has been granted, provided new information (a 'new fact') has come to light of which the tax inspector was not aware (and could not reasonably have been aware) at the time that the original final assessment was issued. The five-year period may be extended to 12 years if the taxpayer paid insufficient tax in respect of an asset held or profit that arose abroad. The tax inspector does not need to prove that a 'new fact' has come to light in the event the taxpayer has not acted in good faith and knows, or should have known, that the original final assessment was too low or that, erroneously, no assessment was issued at all. If the amount of tax due on the assessment is at least 30 per cent lower than the amount due based on tax law, the taxpayer is deemed to be aware of the incorrectness. In the case of a deficiency assessment, the additional amount of corporate income tax due will be increased with interest and possibly penalties. No penalty is due if the fact that the amount of the original assessment was too low cannot be held against the taxpayer. The amount of a penalty depends on the amount of corporate income tax due and the degree of guilt or negligence of the taxpayer. Taxpayers can lodge an administrative appeal against a final assessment or a deficiency assessment within six weeks after the date of the assessment with the relevant tax inspector. During the administrative appeal phase the taxpayer may be requested to provide additional information. The taxpayer has to be invited for a hearing. The taxpayer may avail him or herself of witnesses and specialists in the hearing process. The tax inspector who deals with the administrative appeal should be a different person from the tax inspector who raised the original assessment. The tax authorities must decide on the administrative appeal within six weeks after the final due date of the appeal (i.e., 12 weeks after the date of the assessment). This date can be extended by six weeks upon request of the authorities. In practice, extensions are often implicitly or explicitly given because of ongoing discussions between taxpayers and the tax authorities to resolve the case without having to go to court. A decision on an administrative appeal is necessary to start litigation in court. If the statutory term for rendering a decision is exceeded, the taxpayer can file a court appeal on the basis that no decision has been rendered in the administrative appeal phase. The Dutch court system has three levels of judicial review: the district courts, the courts of appeal and the Supreme Court. Taxpayers can lodge an appeal with the district court within six weeks after the date a decision is rendered in the administrative appeal. The district court must decide on the appeal within 16 weeks after the final due date of the appeal. This 16-week period can be extended by the court by 12 weeks. Further extension is also possible under certain conditions. Both the taxpayer and the tax authorities can, within six weeks, lodge an appeal against the judgment of the district court with the court of appeal. The court of appeal should render its decision within 16 weeks after the final due date of the appeal. This date can also be extended by 12 weeks with the option of a further extension. Against the decision on appeal by the court of appeal both the taxpayer and tax authorities can lodge an appeal within six weeks with the Supreme Court. The Supreme Court limits itself to a decision on legal matters. The facts as determined by the court of appeal are not subject to review by the Supreme Court. There is no mandatory representation by lawyers in tax cases, except for pleadings before the Supreme Court. Taxpayers, or their officers or employees, may therefore present their cases before the district court and the court of appeal themselves. Very few transfer pricing cases have entered the Dutch court system and even fewer have reached the Supreme Court. Within the climate of cooperative compliance parties tend to try to solve their disputes with the Dutch tax authorities outside formal proceedings. This may also be caused by the fact that many of the conflicts involve facts and circumstances instead of strictly legal issues. Judges operating within the tax system are not specialised or trained in transfer pricing. A loan was granted between two associated enterprises. The loan was granted without any pledges or other securities. The borrower defaulted and the question arose whether the loan was at arm's length. With reference to its decision in BNB 2012/37, the Supreme Court referred the case to the court of appeal to assess whether the fact that the borrower provided business to the lender was a special circumstance that made the loan at arm's length. 'C', a Dutch resident company, had granted a loan to 'E', a non-related entity. 'C' booked a loan loss provision against its taxable income. The provision was accepted in the assessment. A few years later, 'D', a related entity to 'C', acquired the shares in 'E'. Subsequently, it issued a guarantee for all obligations of 'E'. As a consequence, 'C' released its provision. Because it involved a guarantee by a related company, it classified the profit as a capital injection instead of an income item. The Supreme Court decided that it is not required that the guarantee is specifically directed towards 'C' to create a transaction between related entities. The case was referred to the court of appeal to decide. The court of appeal, weighing the evidence brought forward by the parties, decided that the guarantee in part was given because of shareholder relationships, and thus was not taxable, and in part for commercial reasons. Company 'A' granted a loan to company 'B'. The loan was granted in relation to a project in which both parties intended to become shareholder. The project was terminated and 'A' booked a loss on its loan. The fact that there was an intention for a joint venture did not make the companies related entities. On 23 December 2015, the Netherlands filed an action of annulment (Case T-760/15) with the General Court of the EU, requesting the annulment of the European Commission's final decision of 21 October 2015 that the Netherlands had granted state aid to Starbucks. In its decision of October 2015, the European Commission stated that the transfer pricing methodology agreed upon in the APA between the Netherlands and Starbucks led to economically non-justifiable results, providing Starbucks with a selective advantage. 'B', a Dutch resident company engaged in the sale and production of zinc products, entered into an agreement with a Swiss affiliate pursuant to which production planning, procurement of materials, logistics and sales were concentrated in Switzerland. 'B' received a remuneration of €28,351,364 as compensation and after that was remunerated on a cost-plus basis. The tax authorities increased the compensation to €184,627,000. The court of first instance denied the claim of the tax authorities with respect to the compensation, because the activities in respect of which the tax authorities claimed that compensation should be paid for had been transferred in earlier years. The court also approved the cost-plus 10 per cent remuneration. The tax authorities have lodged an appeal against the case. The Dutch tax authorities always require a transfer pricing adjustment to be processed by means of a secondary transaction. A secondary transaction may lead to a secondary adjustment, such as the attribution of interest to the current account or the levying of dividend withholding tax on a deemed distribution of income. Systems differ from one country to another, and this means that the foreign tax authority in question may not be prepared, for example, to credit Dutch dividend withholding tax on a deemed dividend against its own tax because it does not recognise the deemed dividend. The secondary adjustment, therefore, does not take place if the taxpayer is able to demonstrate that, in light of the difference between the tax systems used by the two states, the dividend withholding tax paid cannot be credited and there is no situation of abuse aimed at the avoidance of dividend withholding tax. Late payment of tax will lead to interest being due on the unpaid balance. If the tax authorities adjust the transfer prices the interest will be 8 per cent per annum on the amount of tax that is due. The interest will be due on all unpaid tax six months after the close of the year. Penalties of 50 per cent of the additional tax due may be imposed if the tax authorities demonstrate that the taxpayer intentionally misrepresented its taxable income. A rate of 25 per cent applies in case of negligence. In the parliamentary discussion of Article 8b CIT it was stated that penalties would only apply in the case of intentional misrepresentation. There was one district court case where an insurance company was fined for using conditions that were not at arm's length in dealing with a reinsurance company in a tax haven. The Dutch Transfer Pricing Decree explicitly states that penalties may be imposed in cases involving transfer pricing adjustments. There are light administrative penalties for not having available CbCRs; it may be expected that courts will shift the burden of proof (and will thereby construct negligence) in the event taxpayers do not have transfer pricing documentation required by Article 8b CIT available upon audit. The Dutch tax authorities actively promote the use of mutual agreement procedures (MAPs) and other instruments to resolve cases of double taxation. All of the treaties for the avoidance of double taxation that the Netherlands has entered into contain a clause that is comparable to Article 25 of the OECD Model Tax Convention. The Netherlands has issued detailed regulations on the way taxpayers should apply for the MAP process. In addition, for Member States of the European Union, the Convention on the Elimination of Double Taxation in Connection with the Adjustment of Profits of Associated Enterprises (the Arbitration Convention (90/436/EEC)) has applied since 1 January 1995. Some of the Dutch treaties for the avoidance of double taxation contain an arbitration clause, most notably the treaty with the United Kingdom. Meetings with the main trading partners (among others, Belgium, France, Germany, the United Kingdom and the United States) to solve outstanding tax issues take place on a regular basis. The Netherlands also advocates exchange of information and joint transfer pricing audits as methods to resolve double taxation issues. No specific rules for the value added tax (VAT) treatment of transfer pricing adjustments are implemented in the Dutch VAT legislation. This means that general principles of VAT should be applied. VAT is a tax on individual transactions and requires an actual payment for services. Where the transfer price adjustment consists of an adjustment in the taxable amount in conjunction with secondary adjustments, there is no payment for services. Additionally, if the transfer price adjustment involves the application of a profit level indicator, it is highly unlikely that there is an individual transaction that can be identified. Adjustments on CUPs in conjunction with actual flows of cash between related entities as a consequence may be taxable. There is no case law in this area and therefore some uncertainty. Customs value is based on transaction value. It is common practice in the Netherlands to share transfer pricing reports to demonstrate that the transaction value has not been influenced by a relationship with a related entity and therefore can be applied as the value for customs purposes. Transfer pricing in the Netherlands is generally treated as a cooperative effort between taxpayers and the tax authorities. Most conflicts will thereby be solved in the assessment and internal appeal phase. APAs are an integral part of the tax system and applied very regularly. The position that the EU has taken that (some of the) rulings issued by the Dutch tax authorities constituted state aid will have a major impact on the ruling practice. The Dutch tax authorities will be more reluctant to issue rulings in the area of transfer pricing and will probably also require more documentation to prove the arm's-length nature of dealings between related entities. Since 2016, larger companies are required to prepare additional transfer pricing documentation as part of the CbCR initiative of the OECD and EU. A big unknown is what the tax authorities will do with transfer pricing details in reports that will be received as a consequence of this reporting. 1 Bas de Mik and Maarten van der Weijden are tax lawyers at De Brauw Blackstone Westbroek.